‘’US VISA REJECTED” !! You might have heard this phrase innumerable times recently from your friends / relatives who have applied for US student visa. Surprisingly, a lot of Indian students have been rejected for F1 Visa by US consulate offices across India in the recent past. Since last many years USA was and is always the first preference in terms of study destination among Indian students. Similarly India is second source country [ after China ] for USA for international students enrollment. Practically you cannot find any US University [ with reasonable size of internationalization ] where India is not represented by their international student community. A normal up and down in Visa Grant for any country is indeed expected. In fact USA became flavor of the market in India since 2013 due to high Visa Grant. If you look at the number of applications received by any US Institutions in 2015, they have received the highest ever number of applications from Indian students. Additionally rule of STEM Extension of 24 months declared on last May 10, 2016 inspired a boost among Indian students to select US for their higher studies. But as a surprise to everyone, all of a sudden a turn back is observed. 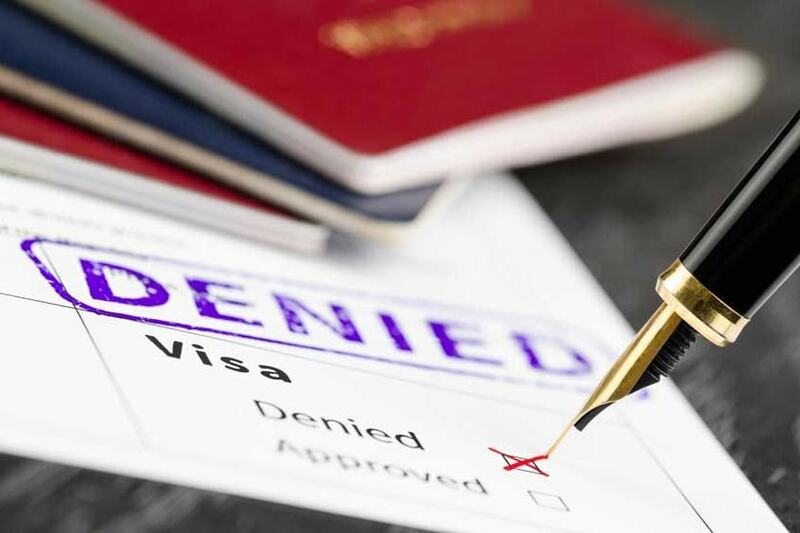 In last 100 days majority of Indian students who applied for their F1 Visa got rejected. As usual all students who have been rejected for their student visas have been given the same reason of 214(b) which is conclusively potential immigrant. YES, that’s right, even today all students who have been rejected for their F1 Visa are given the common and traditional reason of 214(b). So practically you can conclude this situation as a BLIND FIRING OF US CONSULATE OFFICES ON INDIAN STUDENTS. Yes, so practically it means that if you are lucky enough, you may save yourself from this firing, by securing your F1 Visa or else most of the students are killed in the form of Visa rejection. We believe this firing would have pulled down the Visa Grant ratio by around 20%. In no way, it depends on quality of students. Students admitted by many renowned universities including UT Dallas, UT Arlington, University of Houston, SUNY Buffalo are even rejected which is rather a rare phenomenon. As a result of this firing, many questions have been raised among prospective students & parents. Why is this happening ? Is it because of deportation of few Indian students by US Immigration officials last year ? Is it because US universities are not interested to enroll any more Indian students ? Is it because US Government is not happy with Indian students in terms of their academic performance ? Is it because US Government despises continuous raise of dominance of Indians in US job market ? OR is it because of upcoming elections in US ? The reason might be anything. But one thing is sure, this blind firing is affecting reputation of US Education. All stake holders can understand that in today’s era, none of the students will wait for USA to improve Visa Grant rather select any other country for his / her higher studies. So it will not just damage US Education, but also lead to loss of number of students and revenue for many US Institutions. We firmly believe that now is the time for US Government to change the existing system and come out with revised policy for F1 Visa which should include various reasons and specifications for Denial of Visa. All other countries have designed country specific policy to take care of processing of students visa applications for India like Canada and New Zealand. There is nothing wrong for US Government to adopt such a model. All affected Indian students are shocked by this blind firing of US Consulate Offices ! Will the Proposed Changes in H1B Concern Indian Students ?